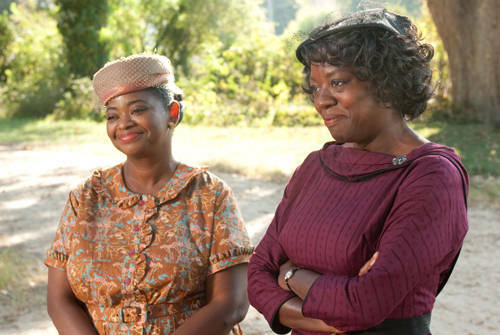 The awards race continues with the nominees for the 2012 Screen Actors Guild Awards, another awards list showering The Help with more love and possibly gold trophies. But enough about the usual predictable nominees. The Screen Actors Guild apparently didn't think Michael Fassbender (in all twenty of his movies this year) was good enough to even get a notice, Albert Brooks' evil turn in Drive couldn't compare to Jonah Hill and Armie Hammer's fine work in Moneyball and J Edgar (respectively)?? Come on, SAG. Get a grip. But my money here is on Midnight in Paris for their simply divine ensemble. This means they won' win. The full list is below. Your comments are welcome. The ceremony airs live on TNT and TBS at 8pm EST.